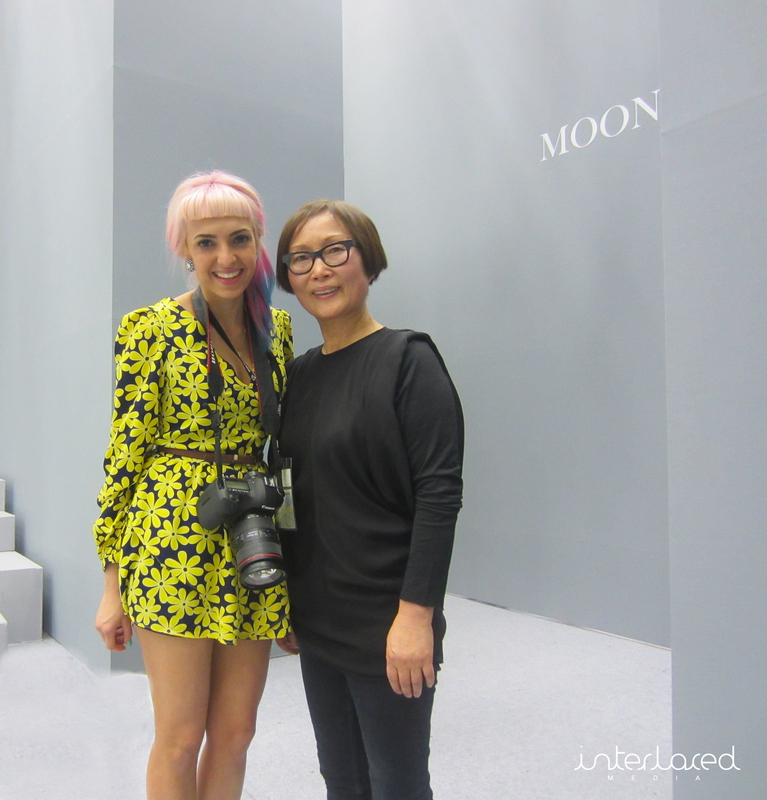 Bow wow wow to Korean designer Moon Young Hee from the label Moonyounghee! The second last show on the fourth night of fashion week, I tucked my tired legs into a tight spot on the floor in the media pit. I gazed around in awe of the talent that surrounded me and my eyes were wide open in the pre show darkness. The room felt frozen the moment the lights lifted. 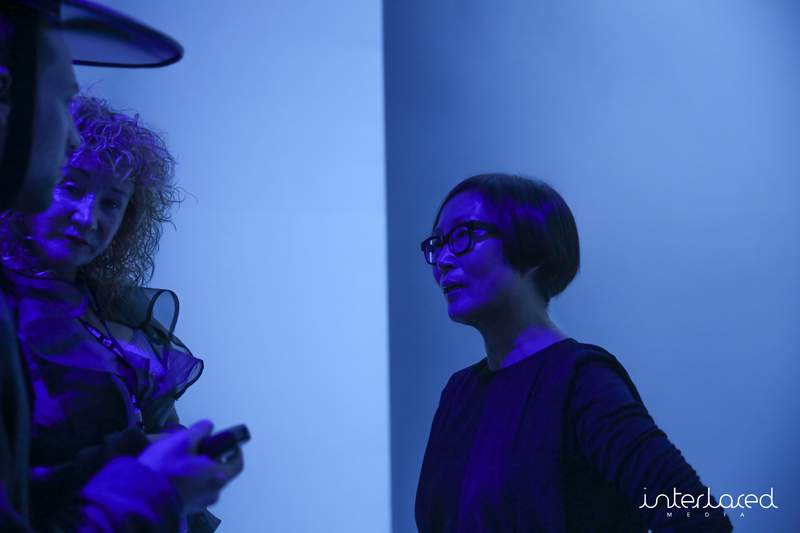 The concept for this collection was ‘Cutted Volume’ and the inspiration ‘nouveau 50s’. Moon Young Hee has used silk, cotton and wool and colours blue, green, black and white. The cuts were what I wouldn’t normally go for, but would love to certainly try. 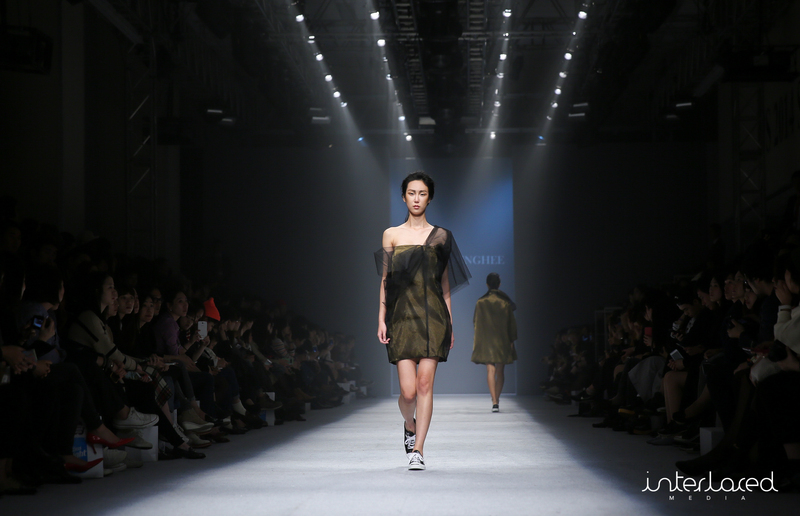 I loved how Moon Young Hee has teamed such glam outfits with sneakers. What set this show off was not only the designs, but the mysterious, eerie song that went with it. The song left everyone asking …what was it? In case you were also wondering the track that featured with the Moonyounghee collection was “Water me” by FKA Twigs. 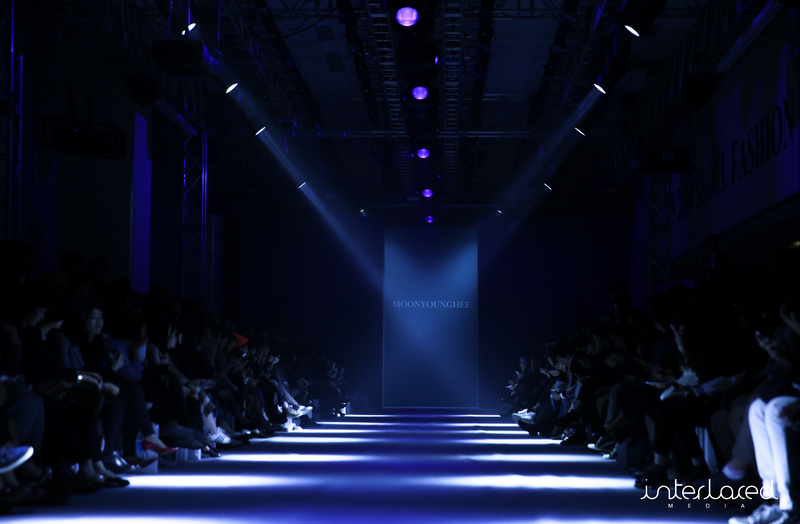 Moonyounghee is the only Korean brand to present every collection in Paris Fashion Week for the past 16 years continuously and to build a global reputation. 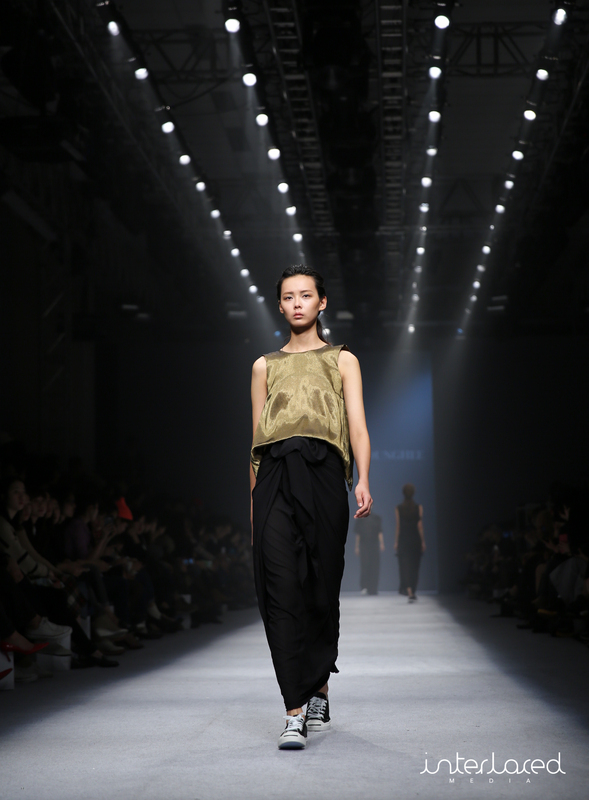 Moon Young Hee’s approach to fashion is to have design and art coexisting. This collection would suit women who love both a masculine and feminine approach to style and dressing. I wasn’t expecting to see such a life changing show! Honestly, this show will forever stay in my mind. 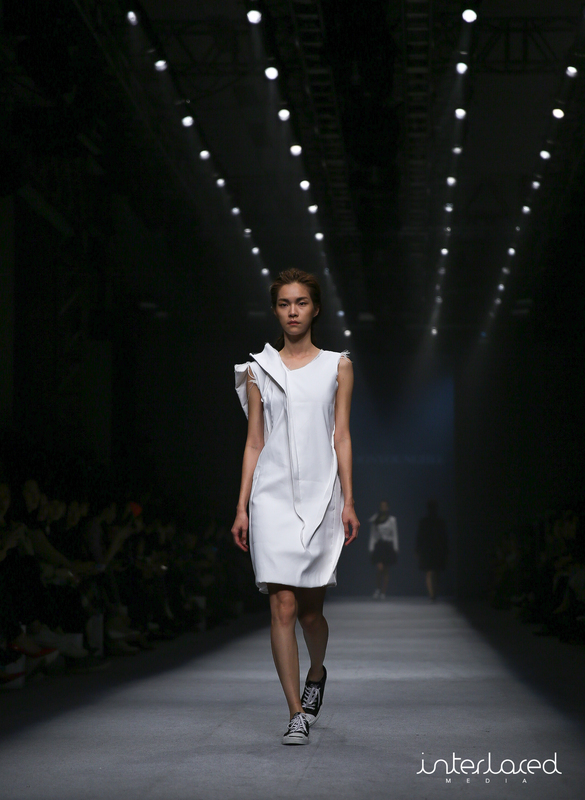 It was hands down one of the highlights of the entire Seoul Fashion Week.